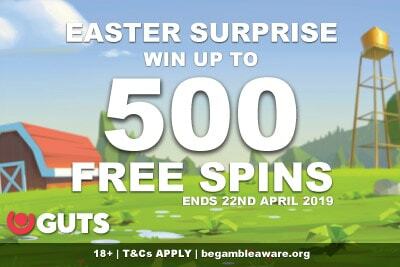 There's a whole load of Spring promotions at Guts casino this March: The Flowering, The €$£5,000 Live Casino Climb and £€$10,000 in Cash For Completing Missions. 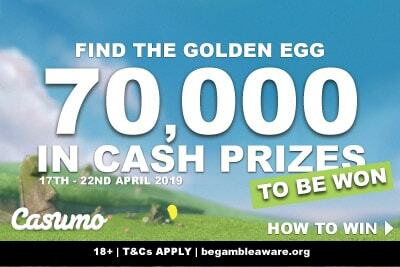 When, what games, and which of these 3 casino promotions are worth taking part? Which one, if any, will put a spring in your step? Let’s take a look at each of these Guts March casino promotions. Between the 21st and 24th of March, when you deposit and play on a selection of slots at Guts, you can get up to 100 extra spins on the brand new Pirate’s Plenty slot. So in order to figure out if this promotion is worth it, we have to take to look at the games you would need to play in order to get your bonus spins, whether this casino spins bonus will pay out enough. The good news is that you can choose from 5 different Android and iOS slot games to get your bonus. Wild Wheel Big Money slot: 20 payline low to mid variance game with nudging reels, free spins, and a wheel of fortune. Dwarfs Gone Wild slot by Quickspin: Another 20 payline machine with 2535x your bet max win and 7 free spin bonus features. Great Rhino: Pragmatic play give you super free spins in a well-balanced animal slot game. Eastern Emeralds slot: You get a 1,680 multiplier during the free spins and for that alone, you should give it a spin. Reactoonz by Play’n GO: This grid slot is one of a kind and you’ll either love it or hate it. We love it. Personally, we love Reactoonz and Eastern Emeralds, so that’s where we would start. How much can you actually win? The minimum you need to bet is 0.20 a spin in order for your wagers to qualify, mostly because these are all 20 payline slot machines. So, in total, if you play 700 real money spins on the slot games above, you will be playing 100 spins. But the Super and Mega spins are well worth your while. Pirates Plenty has a top win of 5,000 times your bet. So one spin would win you 5,000 in cash. And it’s all wager free winnings because that’s how Guts Casino promotions rock n roll. This is basically a live casino tournament, which we don’t see a lot of. Basically, you get points for playing on either the Guts Live Roulette or Live Blackjack tables. Score 1 point for every €$£10 wagered on a single round of Live Roulette. Score 5 points for getting 21 at an Evolution Live Blackjack table. Score 10 points for every straight-up number win you land on any Evolution Live Roulette table. Score 20 points with each Blackjack you get at an Evolution Live Blackjack table. On one hand, you do get extra points for having the cash to burn on roulette. On the other, a lot of the points are based on getting wins on these games, giving everyone a chance. The leaderboard is fairly wide, allowing 20 players to climb to the top with a little bit of casino luck. These are real cash winnings, so again, no wagering once you get the money in your account. You do need to opt-in, so be sure you go to the promotions tab in your Guts casino account. This is a leaderboard but on Yggdrasil slot machines and with a minimum bet of 0.50 a spin. It’s a little more open than the live casino leaderboard, but with double the cash. There’s also a whole load more luck involved, but isn’t that the part of the gambling fun? You essentially need to complete three missions on three different slot games in as few a spins as possible. The fewer the spins it takes to complete the missions, the higher you climb on the leaderboard and the more you win. You can start playing from 11 pm on the 28th until midnight on the 31st of March. It’s an end of month slot tournament fun. What are the slot missions? You can complete any of these missions in any order. When you open the game, you’ll see exactly what and how many spins you have taken to complete the tasks. Task One: Vikings Go Wild slot – hit the free spins bonus. Task Two: Golden Fish Tank game – hit four wins in a row. Task Three: Holmes And The Stolen Stones jackpot – collect five shards. You will need to play a minimum of 0.50 a spin, so be careful. All the wins are yours, but so are your losses. Don’t play just to complete the task, play because they are good games and you are having fun. The top win is 2 thousand in cash, and that’s real cash. Again, no wagering, because Guts like to keep things simple for their players. 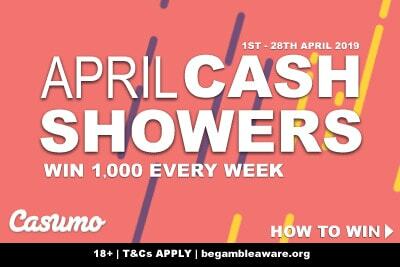 If you love slots, casino game tournaments, and some bonus spins, there’s only one casino worth playing this March. Watch this space, because we know for a fact that April will be just as exciting, with even bigger offers. Who says there’s not a little sunshine at the end of the rainbow? 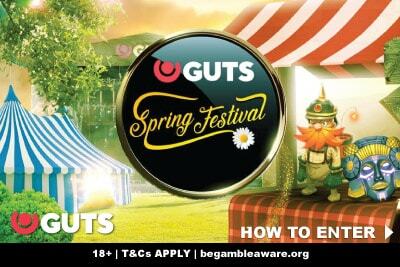 Guts casino are here, letting you smell the flowers and enjoy a little gambling happiness.